AT&T has announced pricing for its contract-free 3G iPhones and it seems to be in line with what is rumoured to be happening around the world. If you live in the US, then you will have to pay $599 (£300) for an 8GB version and 16GB model will cost $699 (£350). These prices are exactly how much it cost for a first-generation model when they were first released. Unlike the UK, however, America will not be able to get an iPhone for free through a contract. AT&T has confirmed that although the prices for contract phones will be subsidised, those in the US will still have to dig deep in their pockets and pay money up front to get one. 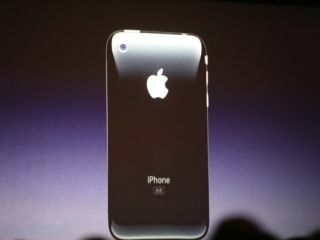 On a contract with the network provider, the two iPhone models will cost $199 (£100) and $299 (£150) respectively. This price is available for those that choose a two-year airtime package.